The addition of the World University Championships as a 1-star event on the FIVB World Tour means that a minimum of $5000-per-gender is available, as are World Tour ranking points. Mikhaylov didn’t play at all during the tournament’s preliminary stages, but went huge in the Final 6 to lead Russia to gold while dropping only 1 set in 4 matches. Actually the performance of NERVO was coordinated with FIVB as they put out a press release for the collaboration. This is what the Nervo sisters had the following to say about the collaboration. NERVO did visit with the Netherlands wonen’s national team before their VNL matches in Appledoorn at the end of May. The Austrlian DJs had a busy weekend as they performed in Ibiza on Thursday, June 7th, before flying to Las Vegas to perform that evening on Friday June 8th and then to Ottawa for a gig on Saturday night. 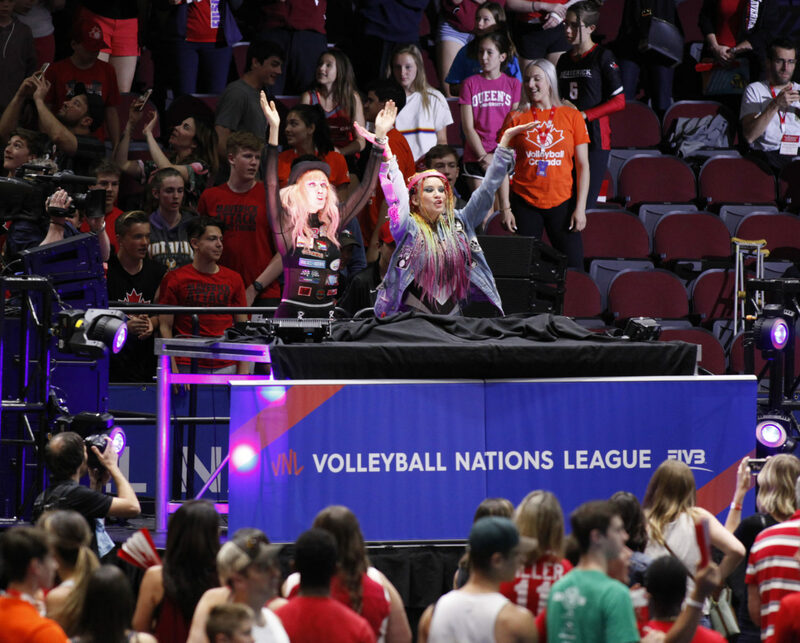 The sisters will perform “Worlds Collide” at the Women’s VNL Finals in Nanjing, China on June 27th and the Men’s VNL Finals in Lille, France on July 8th. Click here to listen to NERVO’s “Worlds Collide” on SoundCloud.